Whether you're the most casual Junk Science fan or just a person who really digs limited-run vinyl, this release could be for you, unless you dilly dally. 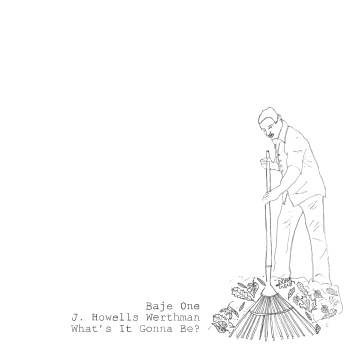 Baje One, the voice of Junk Science and producer J. Howells Werthman teamed up for an 8-song EP called What's It Gonna Be?. Only 100 records are being pressed – no, a zero is not missing. Each record is signed, numbered and complete with a full lyric sheet. What's a lyric sheet, you say? Well kiddies, back when music was pressed on tangible objects, each time you tore your purchase from the plastic wrapping you rubbed a rabbit's foot in hopes that you were holding “the complete package,” which is a record that includes a mini-booklet of stapled glossy paper – the thicker the booklet the better. The words to the songs were printed on the stapled glossy paper. We called them liner notes. Any questions? Yes, the Baje One record includes a download code so you may also have a digital copy. In these specific liner notes, Baje One admits he was going through some tough times while writing What's It Gonna Be?, but he shouldn't shoulder the full blame for the record's melancholy state. J. Howells Werthman is directing the sonics towards the sublime. Werthman's minimalist style of airy tone manipulation is passive in presence, leaving plenty of space for Baje One to let his mind float lovely across the soundscape. But do not fret, for all the turmoil (like “Taking Your Father To the Doctor”), the gloomy duo know how to find a crack of daylight with the closer “Some More Air”. What's It Gonna Be? is out November 22 on Modern Shark. Preorders are made here.